For decades, travelers from far and wide have been drawn to Nepal for the snow-capped mountains and legends of mountaineers climbing the roof of the world. Visitors year after year come for the mountains and return to the people. 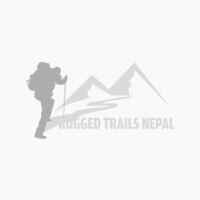 Nepal has a significant mark of the unique blend of astounding nature and beautiful people with a rich culture. Nepali people are recognized for their friendly and warm hospitality. From the ancient monuments of temples, pagodas and the sculpture and architecture of the old carvings are the excellent way to know that this country has a rich knowledge and passion of magnificent visualization toward art and architecture. Nepal's National Parks are homes to rare wildlife and thousands of plant varieties. As the birthplace of Lord Buddha and with Himalayan peaks home to gods and goddesses, Nepal is an incredibly spiritual place for both Buddhists and Hindus. To mention it all in one paragraph is impossible, as Nepal has numerous spiritual sites and natural beauty to dazzle the eyes and open your soul. One should come and marvel in the continuous sources of inspiration and take home memories and photos that will last a lifetime. Come and join us to see with your own eyes the enlightening land of Nepal. You can take my body out of Nepal but you can never take my soul and Heart from a Nepal.